The mission of the National Council for the Social Studies is to provide leadership, service, and support for all social studies educators. The Minnesota Council for the Social Studies is an affiliate council of NCSS. 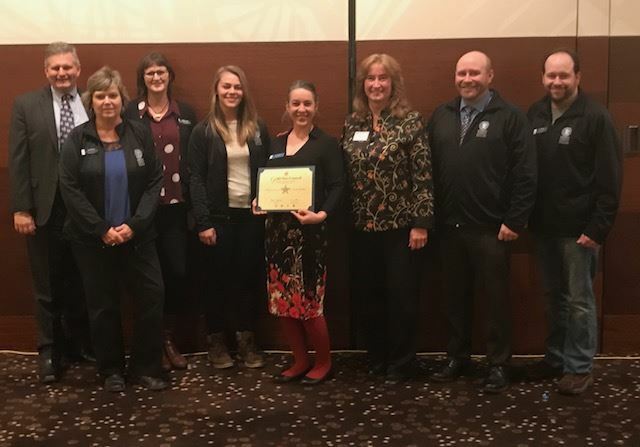 NCSS Executive Director Larry Paska and NCSS President India Meissel with MCSS board members Jen Hansen, Emma Ryan, Ashley Roth, Jessica Ellison, Mark Westpfahl and PJ Wiggin after MCSS was named a Gold Star Council. The Annual NCSS Conference took place November 30-December 2 in Chicago. Several MCSS board members were present, attending House of Delegates, networking with potential vendors, and meeting with NCSS staff and other council presidents. Your MCSS board is part of many of the national conversations in social studies, ensuring that Minnesota teachers are well-represented. 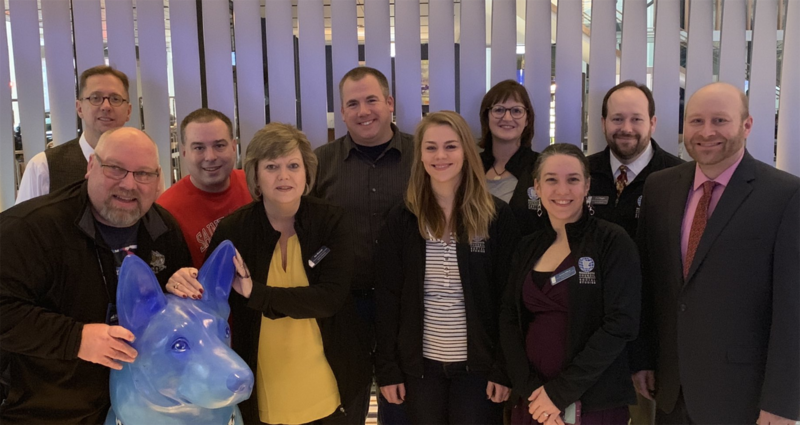 Jen Hansen serves on the Steering Committee, Scott Noet is on the Assignments Committee, Emma Ryan is on the Austin 2019 and D.C. 2020 committees. Voices for Minnesota social studies teachers are being heard! Visit the NCSS website for more information. Visit the MCSS page on the 2021 conference in Minneapolis. Board members Emma Ryan, Jen Hansen and Scott Noet with NCSS Director of Meetings and Exhibits, David Bailor, excited about Minneapolis 2021! MCSS was well-represented at NCSS! 10 of our hardworking board members were in attendance. MCSS Board member Jessica Ellison presented a session with author Renee Watson and Ilyasah Shabazz, daughter of Malcolm X and Betty Shabazz, about their book Betty Before X.